Spying—on your neighbors, on random strangers, on your ex-partner’s new partner—can be kind of fun. Now, there’s a whole Manhattan museum dedicated to the fine art of surveillance, deception, and decoding. 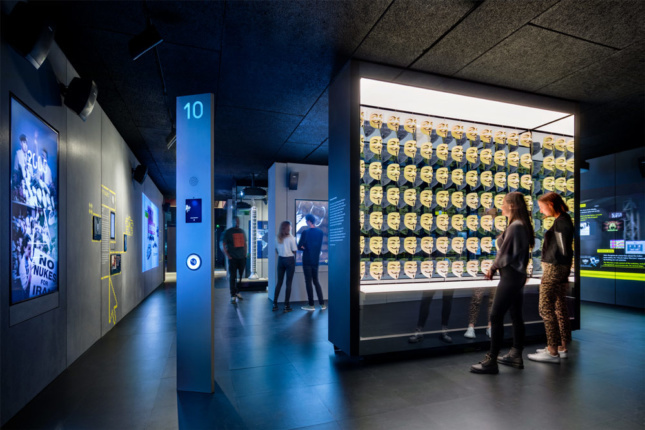 Adjaye Associates designed SPYSCAPE, a new 60,000-square-foot museum in Midtown Manhattan that opened its doors to secret-seekers on Friday. Developed in concert with former intelligence officials and hackers, the building is decked out in what the New York– and London-based firm is calling “the architectural language of the most prestigious spy organizations:” materially, that translates to black linoleum, grey acoustic paneling, and dark fiber cement across a series of glass boxes that hold exhibitions while fragmenting the viewer’s sense of space. Outside, the facade is covered in dot-and-pixel vinyl, which provides solar shading while keeping the inside shrouded from prying eyes. 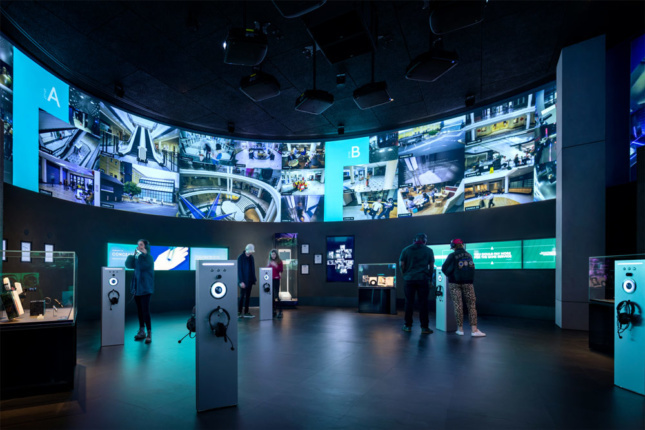 For $39, visitors can learn about history’s most famous spies, climb through an agility-testing laser maze in one room and crack codes in another, or detect lies in special interrogation booths. At the end, the exhibition analyzes each visitors’ skill set, Myers–Briggs-style, assigning each an intelligence job that best corresponds with demonstrated ability. 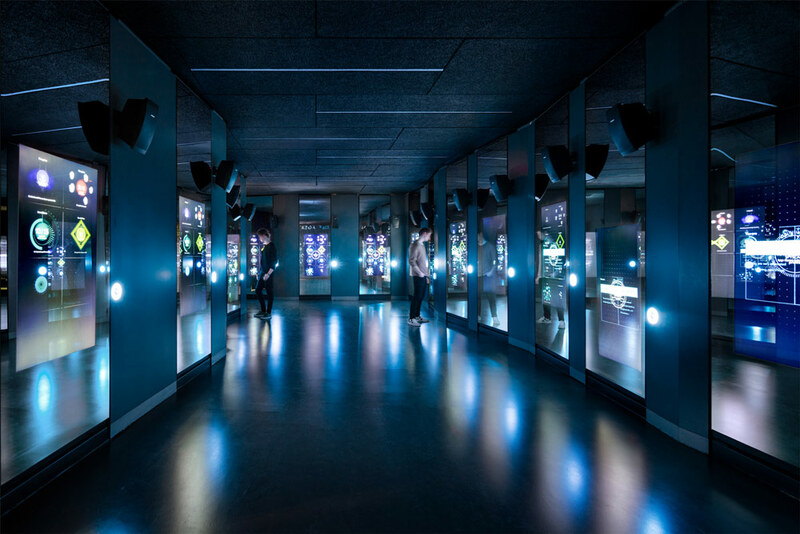 With features like a 350-square-foot multimedia elevator and whiz-bang elements, the three-story SPYSCAPE’s exhibits are ensconced by a futuristic palette—all cool blues and green. A bar, event spaces, and a rare book store round out the program. SPYSCAPE is open from 10:00 a.m.–8:00 p.m. daily. More information about the museum can be found here.